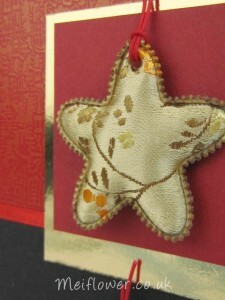 Mix pack of padded oriental star toppers. Star shaped fabric embellishments made out of a beautiful silk fabric stitched with embroidered flowers. 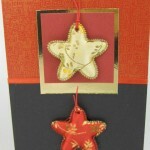 1 of each colour, includes red, turquoise, cerise, and gold. There is a hole at the top which allows you to attach onto items. 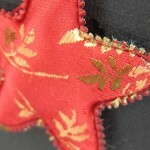 This entry was posted on Wednesday, January 26th, 2011 at 12:06 am	and is filed under . You can follow any responses to this entry through the RSS 2.0 feed. You can leave a response, or trackback from your own site.